June 28th - July 6th, 2014 From 9 A.M. to 6 P.M. 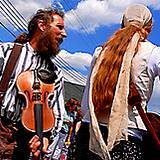 Traditional Pennsylvania Dutch folklore comes alive every year at the Kutztown Festival in Kutztown Pa. 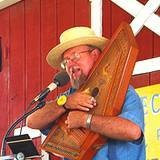 It's the oldest folklife festival in America, it's a nine day German festival celebrated with the best early American arts and crafts, food and entertainment. 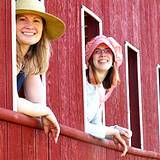 It's not only the oldest it's also one of the largest Pennsylvania Festivals drawing over 130,000 visitors, authentic Pennsylvania Dutch food, crafts and exhibits makes it actually one of the most celebrated Folk Festival in the nation. Folk art and traditional crafts have been passed down over many generations from the 19th century from artistic wood carvers, metal crafts, quilters, pottery making and fine handmade furniture. You're going to love watching the Pennsylvania German and other early American folk artisans demonstrate the fine skills as they weave rugs, decorate milk cans, hand paint hex signs, build iron ornaments and cut paper art known as "scherenschnitte," and don't forget the famous Pennsylvania German calligraphic writing called "fraktur". You can see it all demonstrated by the best of the best craftsman and it's all for sale at this famous Pennsylvania festival. Celebrates Music, Rides, Kids Activities and more! What's a great folk festival without a hoedown? From one end of the festival to the other you'll hear music ranging from folk singing to country fiddling, gospel music and bands marching. You're not going to be able to resist joining in on the square dancing and foot stomping fun. And if you're just ready to sit and relax you'll enjoy entertainment like the centuries old-music Mennonite capella choir. 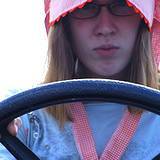 Listen to songs sung in the Pennsylvania Dutch dialect. 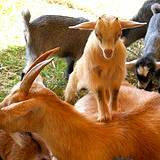 Children love the annual petting zoo with gentle farm raised baby animals, puppet shows and interactive crafts designed to introduce your children to a way of life that generations past experienced growing up. Watch your children's faces light up as they watch the marching bands pass by, join in the folk songs and sing-along, and take their turn dancing in a hoedown. Just wait until they discover old-fashioned German games, gentle rides, and their surprise at how fast they'll get lost in the hay maze. The traditions of the Pennsylvania Germans are found everywhere at the festival, and history comes alive especially on the seminar stage with speakers on topics ranging from religion and family life to clothing and folk medicine. In the Neighborhood House, members of the Grundsow Lodge carry on conversations in the Pennsylvania Dutch dialect, and invite visitors to sit down with them to ask questions and learn more about the Pennsylvania Germans. Umm, did I mention the food? You're not going to find more tempting, delicious, mouth-watering food anywhere on this plant than at the Kutztown Festival. You'll enjoy dishes like homemade apple dumplings, strawberry shortcake, chicken potpie, homemade soups, ham dinners and the traditional ox roast. Many of the meals are served family-style and all you can eat! When was the last time you've tried homemade bread and apple butter, ice cream and homemade root beer? Oh, you're in for a real treat. 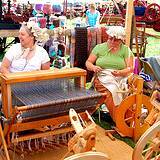 The Kutztown Festival displays nearly 2,500 beautiful, hand-made Pennsylvania German motif quilts and is one of the most popular events at the festival. These masterpieces represent countless hours of dedicated work by quilters in the region. 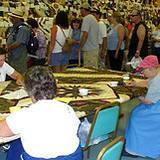 The quilt show and sale have become famous across the eastern United States. Now the largest quilt sales event in the nation, the show draws the attention of thousands of visitors each day at the Festival. For the serious quilt collector, this is a major event. The colors, designs, and originality are very impressive every year, and also every year fresh ideas are incorporated into the quilts while they retain the basic Pennsylvania German theme. From 100 outstanding quilts in the show, twenty-four are awarded top honors, and from these quilts four are designated as the best of the show. Visitors can view the prize-winning quilts during all nine days of the Festival. The quilt auction on the second Saturday of the festival is the highlight of the show and is attended by large numbers of bidders from the Middle Atlantic region and beyond. 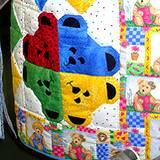 Each year over the past five years, records have been set for the highest price paid for an individual prize quilt. This is one Pennsylvania festival that will inspire you to bring home many arts and crafts. Visitors often stop by the farmers' market and butcher's shop for Pennsylvania Dutch take-home delicacies such as hams, smoked sausages, cheeses, homemade pies, fruit and nut breads. There is plenty of free parking in the festival parking lots, and free shuttle service is also available. 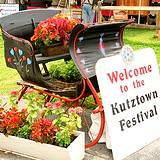 Kutztown , Pennsylvania is easily accessible from PA Route 22, mid-way between Allentown and Reading.